Indulge yourself in this luxury face and body combination using the very best Exotic products. Body polished and moisturised whilst cocooned in a warm wrap. total relaxation for over an hour. Calms the mind and soothes the head and ears. The removal of dead skin cells, leaving smooth skin. Ideal before a course of sunbeds or a holiday as a much deeper tan will be obtained. Incorporates an aromatic facial, an eyebrow shape and a manicure. 1â„2 leg, bikini and underarm wax, lash tint, pedicure and body peel. Back massage, Indian head massage and Aromatic Facial. 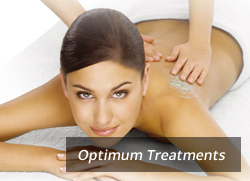 This treatment is created especially for the expectant mother. Body exfoliation including a moisturising massage. File and paint on feet and essential facial. Advanced performance facial, aromatherapy massage and pedicure. A 50% deposit is required on all packages. quick and efficient way of removing unwanted hair. Generally lasts 4-6 weeks. 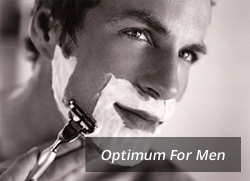 The permanent removal of facial and body hair. Sterile, disposable needles are used for each client. Safe, effective, long-term hair removal. Specially filtered visible light is absorbed by the pigment in the growing hair, destroying the hair follicle without burning the surrounding tissue. This makes the eyelashes darker and more noticeable. It replaces the need for mascara â€“ ideal before going on holiday. Generally lasts for 4-6 weeks. Please note: if you are a new client to lash tinting, a patch test will be required. LVL is an exciting new treeatment which uses innovative techniques to gently lift and straighten the lashes creating length and volume the natural way. unique seven-step brow shaping treatment for the ultimate in well-groomed, high definition Hollywood brows. Semi-permanent eyelash extensions which last up to 2 months. They make your lashes look longer, fuller and more defined. Resistant to water. The latest eyelash technology for maximum impact for that special occasion. A quick and easy way to get that special occasion look. Introducing Nailtiques â€“ a totally different nail protein treatment that provides a therapeutic approach to growing healthy natural nails. Involves nail shaping, tidying of cuticles, hand massage and varnish. Includes 5ml nail varnish. Involves nail shaping, tidying of cuticles, hand massage & varnish. Massage using Spa products essential vitamins and minerals. Also including cuticle work hand exfoliation and 5ml nail varnish. Includes removal of hard skin, tidying of cuticles and nails, foot massage and varnish. Includes 5ml nail varnish. Includes removal of hard skin, tidying of cuticles and nails. The Spa Foot creams are used for deep penetration of moisture. Also including foot exfoliation. Includes 5ml nail varnish. Combining the Spa Manicure and Pedicure to give one and a half hours of relaxation for your hands and feet. 100% sterile. Inverness have ensured their earrings are allergy free by conforming to EEC requirements.